Thread: 1UZ into MA61 / MZ10 Guide. Jan. 1982 Blue 'P' type - 6MGE intake/exhaust/17"SquareWheels, etc. Just thought I'd pop in here to let you guys know that the mounts, which are no longer available from me, are now available in CAD form, so you can get them laser/water jet cut at your local machinist. 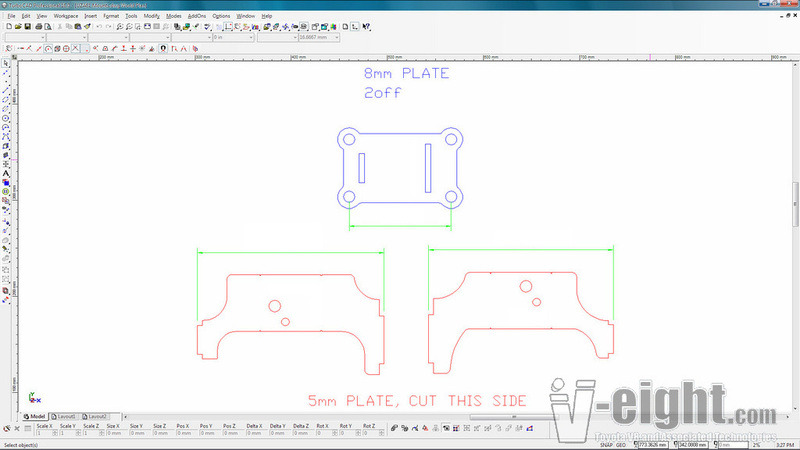 File Pack includes instructions, labeled diagrams, and individual files for CNC water jet/plasma cutting. Our simple .dxf files are compatible with 99% of CNC software, and these files will allow your machinist to simply 'upload and go' reducing time and fabrication costs. May be a long shot... but is this thread still open?